Today is Swiss national day! Switzerland is an amazing place – I called it home for eight years. If there is a heaven on earth in terms of natural beauty, Switzerland is it. Many are aware that tourists flock to Switzerland to take in the scenery, eat some of the finest chocolate in the world and participate in mountain sports, among other reasons. In addition, diplomats and business leaders frequently congregate in Geneva, a worldwide center for diplomacy due to the presence of numerous international organizations. What might not be so top of mind is the significant number of foreign students that attend Swiss schools. 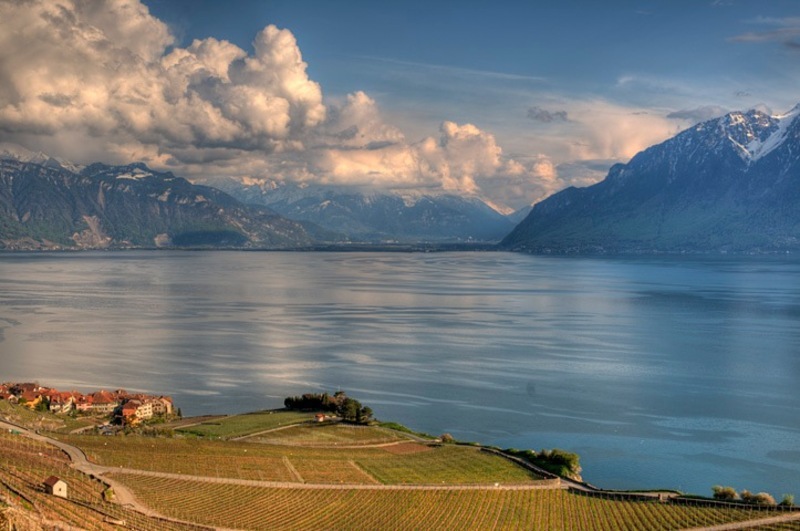 Switzerland is a fascinating place for education, particularly because of its global emphasis. I was fortunate to work at one of these institutions: IMD in Lausanne. Also noteworthy on the business school front is University of St Gallen. The ETH Zurich and The Ecole Polytechnique Federal de Lausanne have strong global reputations for engineering and technology. The top three hotel management schools in the world are Swiss, according to Taylor Nelson Sofres, a custom research firm. (Those schools are Ecole Hôtelière de Lausanne, Glion Institute of Higher Education and Les Roches International School of Hotel Management). Geneva, as the headquarters of many of the United Nations agencies, is home to many top schools related to international relations. The Graduate Institute of Geneva is recognized as a top school for international relations and is the alma mater of former UN Secretary General Kofi Annan, among other notable names. I have been delighted to collaborate with the Geneva Centre for Security Policy, which provides training for government officials, diplomats, military officers, international civil servants and NGO staff. Going down the educational latter, Swiss boarding high schools attract global audiences and are known for their quality and astonishing annual tuition. (Le Rosey is $133,000 per year!). All of this educational prestige in a country that is the size of the US state of Ohio and in a population of just eight million. Earlier this week, I was reading a US News and World Report piece on the top 10 US schools with the most international students on campus. The piece noted: “At each of these 10 schools, more than 14 percent of the student body is international.” The New School came in number one with an international representation of 29 percent. Among US graduate schools, the percentage of international students is generally higher. For example, a separate US News piece highlighted 10 business schools that had an average of 63 percent of international students. While these numbers are laudable, it pales in comparison to the global make-up of many Swiss schools. At IMD, the MBA program of 90 students usually consists of just a handful of Swiss students. Likewise, the number of Swiss faculty is quite small. The Graduate Institute’s international student body is 83%. Most every institution strives to see strong international representation on campus. Most everyone benefits from the insights, knowledge and contributions that individuals from different parts of the world can bring to classrooms and campuses. This is all the more important in our globalized and interconnected world. When thinking about the DNA of global education, Switzerland has the set the standard.